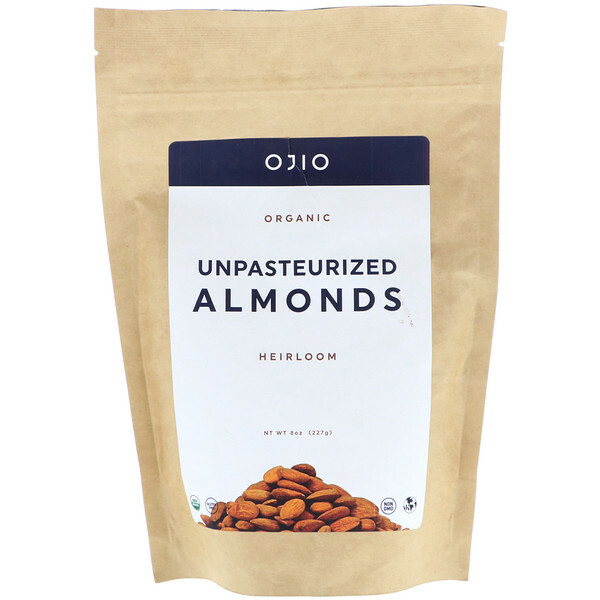 Ojio (oh-jee-oh) Whole Almonds are native to the Mediterranean Basin as they have adapted well to the hot dry summers and the mild wet winters of the regional climate. In southern Spain and Italy, heirloom species have flourished for millennia, under the watchful eyes of small farming communities. These family farms produce Guara variety almonds that are as flavorful as they are nutritious. Naturally high in Vitamin E and Magnesium, Ojio Whole Almonds remain unpasteurized to maximize these beneficial nutrients among many others. 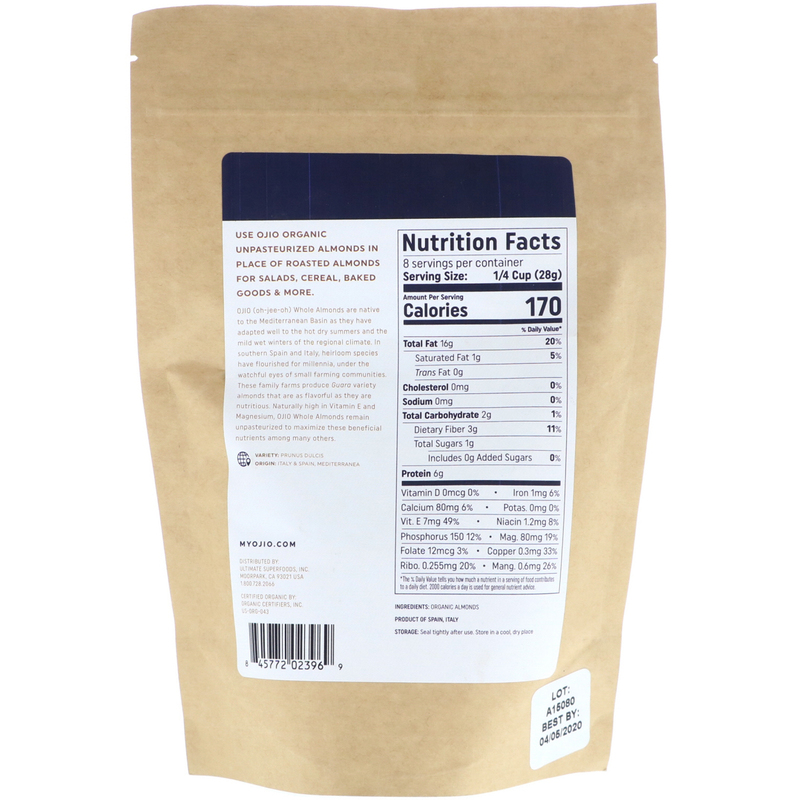 *The % Daily Value tells you how much a nutrient in a serving of food contributes to a daily diet. 2000 calories a day is used for nutrient advice.